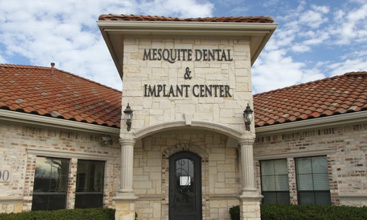 Mesquite Dental & Implant Center - Call Today For Modern Dentistry, Dental Implants, And More! NEW PATIENTS!Click Here For Convenient Online New Patient Forms! For your ease and convenience, we've created a time saving way for you to submit your New Patient Information as well as your Health History information from the comfort of your own home! This will save time when you come into the office for your appointment, making the whole experience a little less busy! If you have any questions regarding these forms, please call us at 972-285-8020. Thanks & We Look Forward To Seeing You Smiling Soon! Check Out Our Dental Saver Plan! Dr. George offers more than 10 years of experience and believes dentistry is about more than teeth. Whether you need general dentistry, restorative dental care, or emergency dental treatment, our staff is here to help! At Mesquite Dental & Implant Center, YOU always come first. 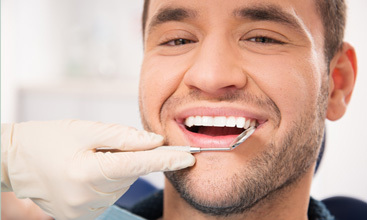 We provide advanced dentistry in Mesquite, TX. We care about you and your oral health. 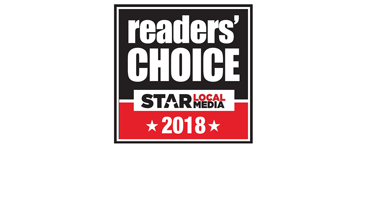 With conservative techniques, we provide a wide range of dental services to help you and your loved ones achieve the dazzling, healthy smiles you deserve. You can have an unforgettable smile that will make you feel confident and attractive. Learn more about Dr. George's approach to contemporary dentistry in Mesquite, TX on our Dental Services pages, or visit the New Patient page. We are also excited to offer Fastbraces® - click HERE to learn more about this option for braces!